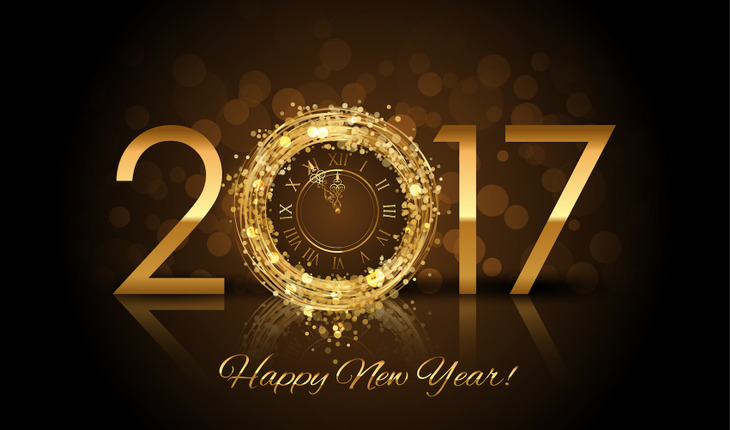 By William A. Schiemann, Ph.D.
It’s that time of year again to think about what you want to accomplish in 2017. But wait! Past research tells us that 92% of New Year’s resolutions fail. So you might say, why bother? Instead, perhaps you should go about those resolutions in a more effective way. There are a number of reasons why resolutions fail—overly ambitious targets, peer pressure, no measures and most importantly, no real sustainable changes in behavior. But there are some secrets to resolutions that actually work. The most important one is whether they lead to you becoming more fulfilled in life. We know from our research that nearly everyone wants their lives to be more fulfilling, but 80% of people are far from it. So if you think about your plans for the New Year in light of becoming more fulfilled, you are far more likely to be successful in achieving them. Start with your long-term goals. If you don’t have them, create them. If you have them, it’s time to reassess them. While this may feel scary, it is really the only way to plan your future. In my recent research at the Metrus Institute looking at those who were most fulfilled, we found that these folks had a vision for their life—where they would like to be later in life—what they would like to have accomplished. For Millennials, that might be a career goal or a family or relationship goal. For Xers, it might be an end of career objective (I want to become a VP in my company) or something more personal, such as taking up a new sport or hobby, or building stronger personal relationships. For recently retired Boomers, it might be bucket list items, such as visiting a country you have always wanted to see. Don’t be afraid to put a stake in the ground—you can always adjust it later! What are your fulfillment drivers? Next, think about the things you do that are helping you achieve your dreams. It might be taking courses in school, dating, practicing a sport, hobby or musical instrument, or digging deeper into your religious or spiritual beliefs. Or, it might be performing well at work so that you can get that promotion or become skilled for a future job. These are your drivers of success and fulfillment. Unless you think about the connection of these drivers to your long-term vision and goals, they may all feel alike. In reality, some are always more important to your long-term fulfillment. Gut feel and what feels good at the moment may not be the best for the long haul. I didn’t like some of the courses I had to take to get my degree, but I had a vision of what the degree could provide for me in the future, so I learned to devote enough time to studying instead of playing cards with my friends as my gut would have preferred. Time. Time is one of the biggest challenges to your resolutions. Remember, we all have the same amount of time each day, but some people use it more wisely. Personally, until I mapped my time for a week or so each year, I didn’t realize how much of my time was wasted in tasks that were not really helping me work toward my goals. Map your time—I’ll bet you will be surprised how it is being used. Periodically, I try to rebalance my time because we all get pulled in different directions. Grit. One of the key factors we learned from our interviews on getting to fulfillment is that nearly everyone has key setbacks in their life—health issues, missed promotion, divorce, or loss of a long-term friend. But the most fulfilled people find a way around these setbacks. Building resilience is a key skill, but there are some tricks to making it easier. The most common one is having a great network and some really close friends. If you don’t nurture your network, it won’t be there when you most need it. Many of our most fulfilled interviewees had developed mentors, and it was those mentors who fueled their fires to get up and overcome the setbacks. Take a Risk. Many of the Baby Boomers and Xers we interviewed who had been around the block a few times, said ‘take some risks, and you will be rewarded later.’ Most felt that the risks they took earlier in their careers or in relationships helped them immensely in life. Even when those risks didn’t work out, they learned a great deal that could be applied in the future. Think about what would stretch you in 2017. Asking your company for a stretch job perhaps, or take a next step in your relationship with someone. Or, many found that taking a job they weren’t totally qualified for (yet) enabled them to learn quickly and stretch their capabilities. These five steps should take you a long way to greater fulfillment in 2017 and in your life!